Vincent "Vinny the Chin" Gigante, longtime boss of the Genovese Crime Family, died December 19, 2005, at the United States Medical Center for Prisoners in Springfield, Missouri. The seventy-seven-year-old was serving a racketeering sentence at the time of his death. Prison staff found Gigante unresponsive at five-fifteen in the morning and attempted without success to resuscitate him through CPR. A cause of death was not announced, but prison officials noted that Gigante had a history of heart disease. Gigante was born in New York on March 29, 1928. His family lived for many years on Thompson Street in Manhattan's Greenwich Village neighborhood. In his late teens, Gigante was a prizefighter. 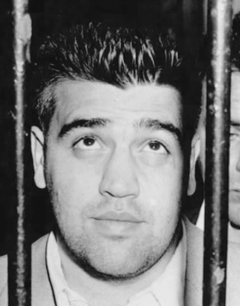 He later became a protege of crime bosses Vito Genovese and Tommy Eboli, and he is generally believed to have been the gunman who wounded Frank Costello in May 1957. 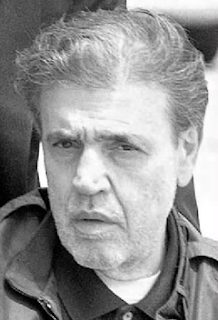 After serving a five-year sentence for a 1959 narcotics trafficking conviction, "Chin" Gigante advanced to leadership positions in the Genovese Crime Family. He was one of the key figures - along with longtime friend Venero "Benny Eggs" Mangano - in the organization's powerful Greenwich Village crew. Gigante ran his criminal rackets from the Triangle Social Club. About a decade after the narcotics conviction, Gigante first made use of feigned mental illness. When charged with attempting to bribe the police department, he managed to convince doctors that he was mentally unfit to stand trial. Gigante gradually took over the Genovese clan in the early 1980s, as boss Philip "Benny Squint" Lombardo moved into retirement. (Venero Mangano substituted for Gigante in 1988, when the boss had surgery for a heart ailment.) Gigante deflected attention first by having East Harlem-based Anthony "Fat Tony" Salerno pose as crime family leader and, after Salerno's 1992 death, by publicly portraying himself as severely mentally ill. Family and close acquaintances insisted that he suffered with Alzheimer's disease, dementia and/or paranoid schizophrenia. Gigante did his best to back up the amateur diagnoses through his actions. He regularly checked into hospitals seeking treatment for hallucinations and dementia. He often wandered the streets of Greenwich Village in pajamas, robe and slippers, was observed carrying on conversations with himself and once was found hiding under an umbrella in his bathroom shower. The New York press dubbed him "the Oddfather." The Chin's act was largely successful until the July 25, 1997, conviction for racketeering, extortion and plotting (but not carrying out) a murder resulted in a twelve-year prison sentence. In 2003, Gigante admitted in Brooklyn federal court that he had been feigning mental illness in order to obstruct justice. Three more years were added to his prison sentence following that admission. Marzulli, John, "Last of the old dons gone," New York Daily News, Dec. 20, 2005, p. 36. 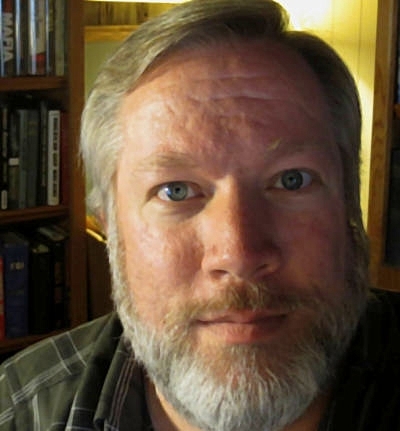 Newman, Andy, "Analyze this: Gigante not crazy after all those years," New York Times, April 13, 2003. Pyle, Richard, "Imprisoned mob boss Vincent Gigante, 77," Philadelphia Inquirer, Dec. 20, 2005, p. B9, "Vincent Gigante, mob's 'Oddfather,'" Arizona Republic, Dec. 20, 2005, p. 10. Raab, Selwyn, "Vincent Gigante, mob boss who feigned incompetence to avoid jail, dies at 77," New York Times, Dec. 20, 2005, p. 29.